Home / #TrueNews / #US / #USLocal / Chronicles / Colorado / #4thofJuly : Heat wave spreads across the country after Colorado wildfires continuing on today. #4thofJuly : Heat wave spreads across the country after Colorado wildfires continuing on today. A national heat wave responsible for at least one death is showing little sign of letting up on the Fourth of July. 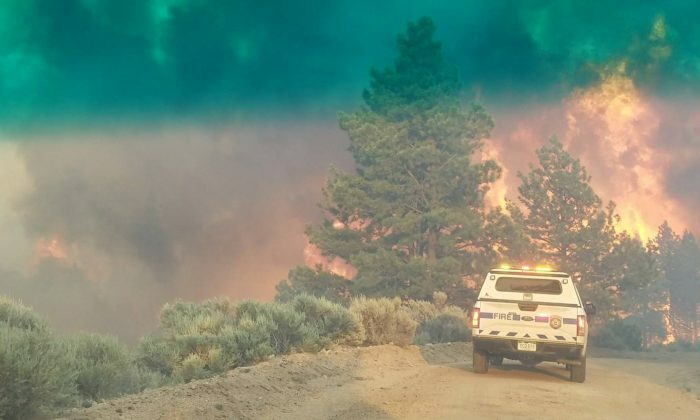 At least 60 wildfires are ablaze, while Colorado's Spring Creek fire has expanded to 78,944 acres overnight, destroying homes and putting hundreds at risk.